Umrah visa rules and fees change every year. The updated rules for the yearly Umrah visa prices, fees and rules can be found on the here so make sure you read them. For the past years, I have been covering DIY Umrah and visa prices and rules extensively as many people ask for the best options. Currently, the prices for a single Umrah visa is £100 but if you are going to use Prince Visa in London they issue you Umrah visa only without needing an Umrah package for £80. All you have to do is actually mention “MuslimTravelGirl” to receive your 20% discount. The discount increased from 15% to 20% since Masha’Allah we have been giving them quite a business for the past 4 years! Disclaimer: I do not receive any sort of compensation from the discount or otherwise. This is my personal experience and review. People have been emailing me with prices from £100 up to £300 per visa during Ramadan thanks to demand and supply. Many times I find that agencies are either going to push their Umrah packages, as it is more profitable for them or they will inflate the price of the Umrah visa. Prince Visa has been established for many years and is a visa agency based in London who works with many Umrah and travel agencies around the UK. Myself and thousands of others have used their service for years. Since I started this blog in 2015 and starting writing about the DIY Umrah options without an Umrah package. I have never had an issue with them getting my visa on time and accurately. Even when I had to send my passport from Qatar for the visa to be issued due to the political situation. Also since you are using the referral they should know to make sure to take care of your visa. They also issue visas for many other countries so it’s not an Umrah agency alone meaning they take their reputation seriously. Most of the time my visa for Umrah takes 2 weeks from sending my passports to receiving them back. Due to the great cooperation, we had many years ago and the growth of Muslim Travel Girl as the go-to Umrah website for deals, information and DIY Umrah packages. I asked them to provide my readers with a discount if they use their services. They don’t make a huge mark up on visas as we know, Saudi issues Umrah visas for free but there is an admin cost involved. I know people have mentioned they have found visas for £70 but I cannot guarantee a good service. I receive emails with horror stories of wrong dates, expired Umrah visas and other issues. I rather pay the extra and have peace of mind that I will get my Umrah visa. You don’t need your vaccine certificate for your visa but you will when in Jeddah, make sure you have it 10 days before you go. If you have an acceptance to Islam certificate which we only get one copy, I would strongly recommend for you to laminate it before you send it. Mine came wrinkled which upset me, but I am not sure it is their fault or the embassy. You must have booked your hotel and flights before you apply and send confirmations. I did have hotel bookings which they were refundable and it was still OK. Send your documents maximum one month in advance as your visa is only valid for a month after issuance. All passports and applications must be sent to the PO Box address below. Ensure to use Royal Mail Special Delivery when sending important documents. Thank you for the blog, we always find something useful in them. I was keen on using prince visa services along with the discount code, however, I could not find prince visa services as part of the authorised umrah agent from the Saudi Arabia website, is the agent valid and authorised for 2017? Yes they are approved by the Ministry. As Salam alaykum. Was keen to book a DIY umrah. Despite the Saudi Embassy saying thief visa’s are few free, why do we need to pay the agents an arm and a leg? 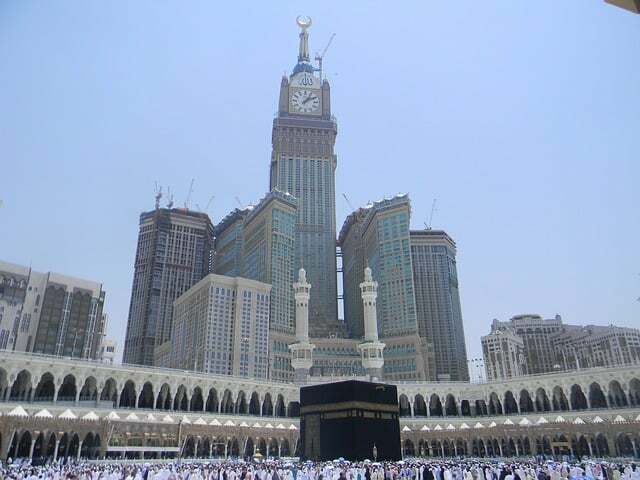 It’s hard to beat the £4000 umrah with the view fees, as that alone costs a third of the budget. Also are the visa fees individual prices, or just £100/ family? Sorry, you totally confused me. Have you checked this post here on the rules? The visa is free but you pay admin cost hence the £100 per person, in you use prince Visa which we offer to discount its £80 per person. It all depends on how many times you have been for Umrah in the past 3 years.